This small group tour of Northern Italy begins in the wonderfully romantic small city of Verona, home to opera, the historic Scaligeri family and of course the legend of Romeo and Juliet. 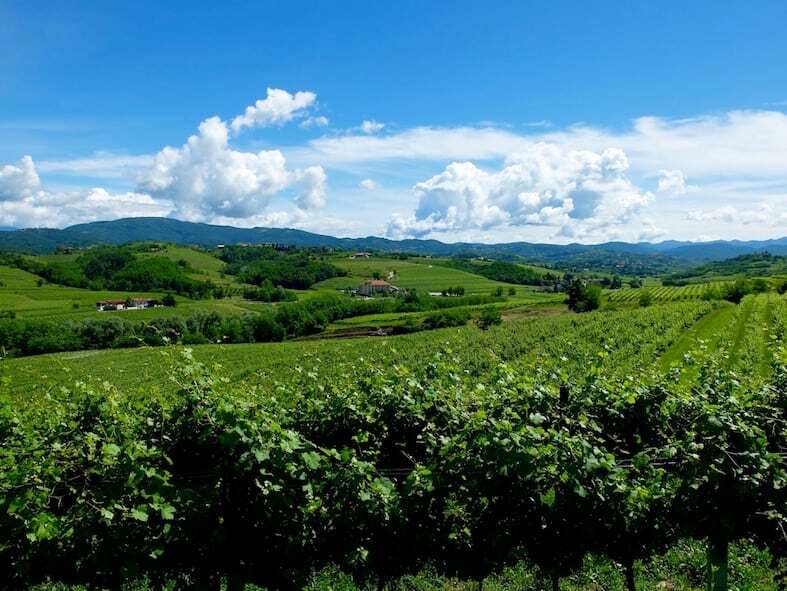 The picturesque wine growing area of Collio is our first base in Friuli and we’ll be exploring both the ancient Roman origins of the area as well as the world famous wineries located in the surrounding hills. From Collio we move on to the enchanting literary city of Trieste, on the coast bordering Slovenia and Croatia. We finish our tour in Venice, where we explore some of the lesser known sights such as the island of Burano and the Venetian Lagoon as well as meandering through the city that people affectionately term La Serenissima. Our tour begins with three nights based in that most romantic of small Italian cities, Verona. On day one we meet at our charming small hotel where we gather for welcome aperitivo in the evening followed by dinner at a local restaurant. Spend the afternoon relaxing or exploring more of Verona. The evening of our first full day offers a real highlight as we join thousands of Italian opera lovers for a spectacular open air performance in Verona’s Roman arena. The atmosphere of the opera is something you’ll never forget: as darkness falls and the overture begins, people light thousands of candles and then… let the show begin! After a late night at the opera, this morning we will have a slow start, taking an easy stroll to see the archaeological and artistic worth of some of the most significant churches in Verona. The afternoon is yours to explore this lovely city further. You may want to climb the hills surrounding the city for the spectacular view, visit the modern art gallery in Palazzo della Ragione or perhaps do some shopping in what we regard as one of the best shopping towns in the country. Today, on our way to our next base we stop at the UNESCO World Heritage city of Vicenza, the home of arguably the most influential architect in history. Palladio was responsible for the renaissance of classical architecture in Italy, which went on to influence architectural styles around the world. The city of Vicenza is a microcosm of his work. We’ll visit the Teatro Olimpico, Palladio’s perfectly preserved, original theatre complete with sets that demonstrate the science of perspective so dear to the Renaissance artists. We’ll stop for coffee under the arches of the incredible basilica in Piazza dei Signori. And finally we’ll have time to explore the streets lined with the grand palazzi designed for the wealthy of Vicenza. In the afternoon we arrive at our accommodation which is located within a well known winery in the Collio area of Friuli Venezia Giulia. This morning we travel to the town of Cividale del Friuli, founded by Julius Caesar in 50BC and for a time the most important Roman town of the area. We’ll visit the intricately decorated Tempieto Lombardo, the finest example of 8th century art in Italy, and explore what is now a delightful medieval townscape. This afternoon on our way back to our hotel we will cross into Slovenia to drive through the lovely and picturesque Brda area. There will be time later this afternoon for leisure. You may wish to book a round of golf or simply relax and read a book. A short drive takes us through rural landscape to the pretty university town of Udine. We’ll explore the centre with its extraordinarily beautiful piazza, wander the old streets interwoven with canals before moving on to enjoy lunch in a typical Friulian casale (old farmhouse) on the outskirts of town. In the afternoon we’ll make the most of the Collio region’s wines as we visit one of the local wineries. We head off for Trieste this morning with a special stop along the way. Gorizia is Italy’s own version of a cold war city –– it straddles the border between Italy and Slovenia. The city is an interesting melange of Friulian, Slovenian and Italian cultures. Before reaching our hotel we stop for a typical Mittel-European lunch in an old-style trattoria on the outskirts of Trieste. Because of its location, close to the Slavic states, you’ll discover the Slavonic influence on the local cuisine. You may want to try cevapcici, bread gnocchi, sausage and gulasch. We spend this morning with a local guide who will give us some special insights into this most beautiful of beautiful cities. Trieste has historically been a melting pot of cultures and we’ll be able to observe the richness of its history during our morning walk. This afternoon you have free time to explore the city on your own. We can recommend several museums that you may enjoy. Before dinner this evening we’ll meet at one of Trieste’s iconic cafés. Trieste is almost as famous as Vienna and Torino for its café culture. Many famous writers and artists such as James Joyce, the explorer Sir Richard Burton and the German poet Rilke were habitués of Trieste’s cafes. This morning we visit Grado, a small fishing and tourist town that lies on an island within its own lagoon and is reached via a pretty causeway. After lunch in one of its small piazze we will reach Aquileia, where we visit its Basilica, a UNESCO World Heritage Site, which contains one of the most extensive and beautiful fourth century mosaic floors in Italy. Moving on, we arrive back in Trieste in time for aperitivi. Burano. We’ll also pass through wetlands that are teeming with birdlife and past the smaller fishing islands that historically provided sustenance for the city. We’ll reach Venice in time for aperitivi. Our local guide this morning will introduce us to the unmissable sights of the city including the Grand Canal, San Marco and the intricate waterways that thread through this magical place. An interesting walking tour for those who have visited Venice before and for those who are experiencing Venice for the first time. and streets of the Jewish ghetto. The choice is yours. Today we will explore the San Polo and Dorsoduro area of Venice, visiting the markets, an exquisite church and finishing our morning at one of the only remaining gondola-building workshops in Venice Squero di San Trovaso to learn the ins and outs of this particular type of boat construction. Our last afternoon in Venice is free for some last minute sightseeing, shopping or even just wandering through this extraordinary city. I’m sure there will be plenty still on your list! In the evening we’ll meet for our farewell dinner. On our last day we’ll say our farewells and provide you with a water taxi to the airport or railway station for your departure.